David T. Morgan’s latest novel, Ireland, Poor Ireland: A Dangerous Man and the Woman He Adored, is a tale of deep love set against the turbulent struggle of Ireland to gain self-rule. It spans the years from 1846 to success in 1922. All the twists and turns are here, from the significant American connection to the tenant farmers’ struggles against Captain Boycott, which added a new word to the English language, to the ill-fated Easter uprising in 1916. The Irish Question, as it was called, became one of the factors forcing the British Parliament to modernize its procedures in 1911 when the House of Lords was stripped of its powers. Earlier, the House of Commons passed a Home Rule Bill for Ireland, only to see it fail in the House of Lords, 419-41. Ireland, Poor Ireland raises questions that still bedevil us today. Are democratic governments capable of rationally resolving emotional issues? How does war, in this case the First World War, often result in unforeseen consequences? Is nationalism an all-consuming force for good or ill? Morgan deftly handles these issues by interweaving them throughout the story. Does violence tarnish a good end? Is there always one best method to gain a peoples’ goal? There is an old saying among revolutionaries, “No enemies to the left,” meaning that rebellions devour their lukewarm participants. Anything less than fanaticism becomes suspect; there is no middle ground. What does it mean to be Irish, to be an underdog? 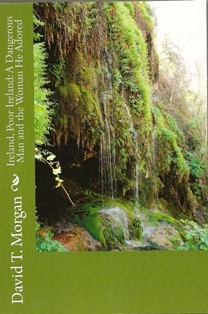 Morgan skillfully paints a picture of both the Irish character and the intriguing beauty of the land. Ireland is today the only spot on the globe with fewer people than it had in the nineteenth century. The great hunger of the 1840s, an Gorta Mór, drove the lucky ones to America or London. The Catholic Church is always present, but not always correct in the minds of many Irish. The Irish knew suffering, but also determination. Morgan weaves together the lives of common people living in extraordinary times, and those remembered in myth, legend, and history, those extraordinary individuals who lead uncommon lives. John W. Crum is an adjunct history professor at the University of Delaware.